Louisa Reid is originally from Cheshire, studied English at Oxford and has lived in London and Zurich. She is married with two young daughters and currently teaches English in a girls’ school in Cambridge. Her pupils are definitely not the inspiration for her characters in her novels but witnessing their passion for great fiction inspired her to write for young adults. Find Louisa at http://www.louisareid.com/ or on Twitter @louisareid. 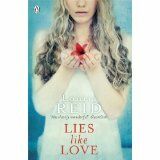 Lies Like Love: ‘There were a few problems… bullying… a fire… I think she’s verging on psychosis… now she’s lashing out… She’s got no one else to fight for her.’ Sixteen year-old Audrey just wants to be normal. She’s trying to fit in. But what happens when the person closest to you suffocates you with their love? What happens then? 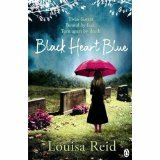 Black Heart Blue: Hephzibah – ‘You’ve no idea what it’s like having a freak for a sister.’ Rebecca – ‘Born first, prettier, Hephzi’s always been the more popular one.‘ The Father – ‘When he was busy with his bottle we were usually safe. Usually.’ The Mother – ‘Her specialist subject was misery and lessons of painful silence…’ Hephzibah and Rebecca are twins. One beautiful, one disfigured. Trapped with their loveless parents, they dream of a normal life.But when one twin tragically dies, the other must find a way to escape. Because if she doesn’t, she’ll end up like her sister.